So you may be wondering why a portrait photographer is taking pictures of grapefruit curd tarts!! Well, the truth of it is…I love photography and sometimes you just want to play. The subjects I have at home don’t always want to comply with my photographic desires so I turn to food! I am in a really great Facebook group of amazingly talented food photographers and food bloggers led my the AMAZING Gina Weathersby. Her photography just blows me away and I’m so honored that I get to learn from her. She gave us a challenge over the weekend to make these tarts from the the linen & lark blog and post all of our interpretations in the group. We’ve decided to link to each other’s posts to showcase all of our work. When I say work, I mean, WORK! This was the most labor intensive recipe I have ever made. I am not even kidding (ask my husband who left for several hours and came home and I was still working.) Between making the tarts (which I was exceptionally proud of!) to the chamomile infused whipped cream (quite different!) to the zesting 5 TB of grapefruit, it took the entire day. Good thing I wasn’t doing anything on Saturday. And, BONUS, I caught up with all of my missed episodes of This Is Us before the big Super Bowl show. I am going to be honest…after all that work, the best part of the entire process is when I baked the excess tart crust and coated it with cinnamon sugar just like my mom used to do when she made pies. Cam and I baked those crust leftover yumminess and had a little treat. Yum! Here are a few pictures from the day (I didn’t do a good job of documenting my step by step…I guess I was just too into This Is Us.) When you are done, I have linked to others in the group as well so you can see their beautiful interpretations. They are all pretty darn talented! My first ever attempt at making tart crusts! For the grapefruit flavor you squeezed 2 cups of grapefruit juice and then reduced it by half. While that was cooking I zested 5 TB of grapefruit rind. My arms were hurting…that’s a lot of zest! Then you massaged the sugar into the zest to release the oils. I have a whole new respect for food bloggers! 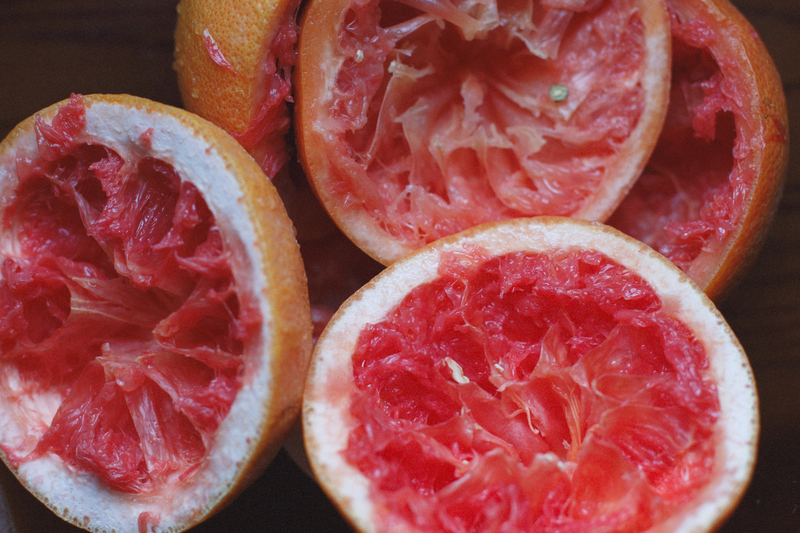 I may have picked at some of the grapefruit while juicing, zesting, reducing, styling…it was delicious! The finished Grapefruit Curd Tart with Chamomile Infused Whip Cream. Check out these talented ladies’ versions of this recipe. You will be impressed! You mean my “hellooooo, is anybody out there?? ?” post 🙂 glad we are back!